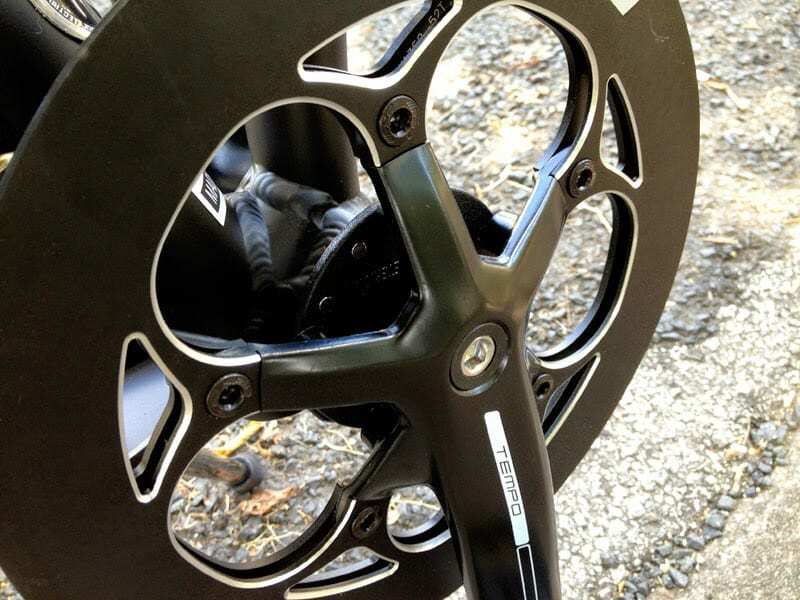 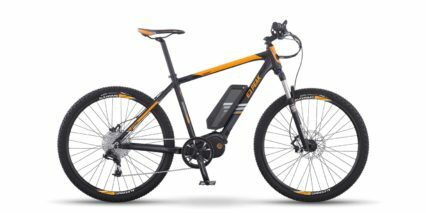 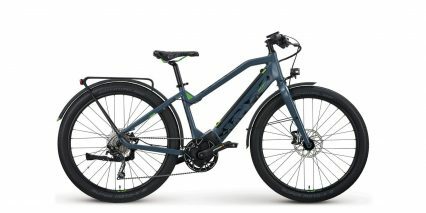 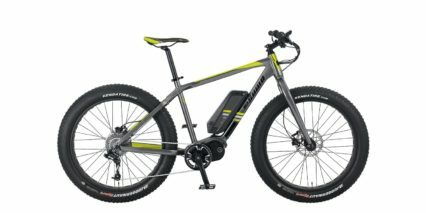 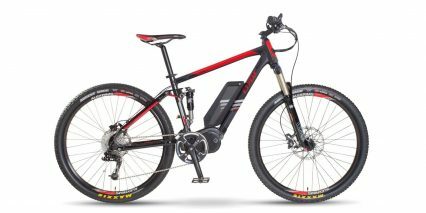 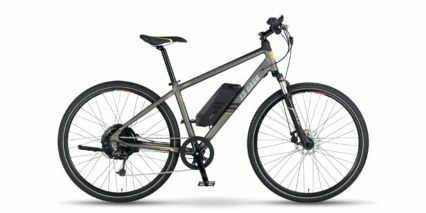 Kenda K193, 20" x 1.5"
Currie Technologies is a leader in the electric bike space with years of experience and multiple lines of varying quality ranging from eZip to IZIP and now eFlow. 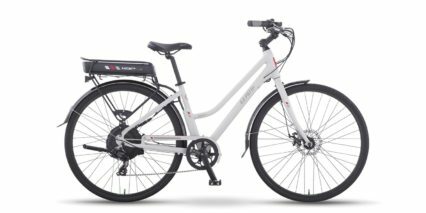 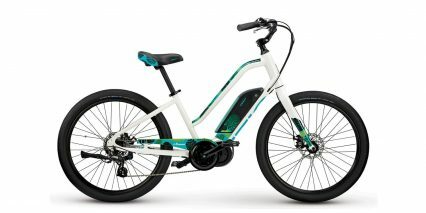 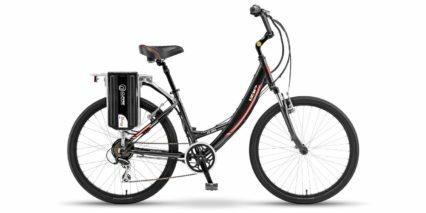 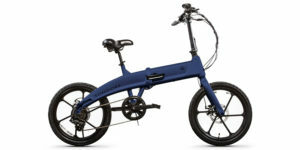 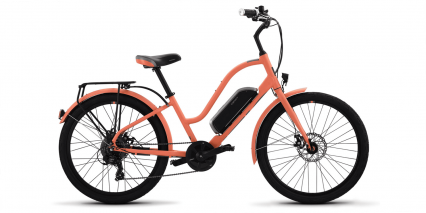 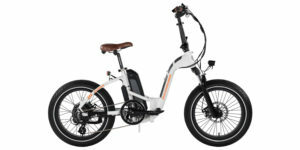 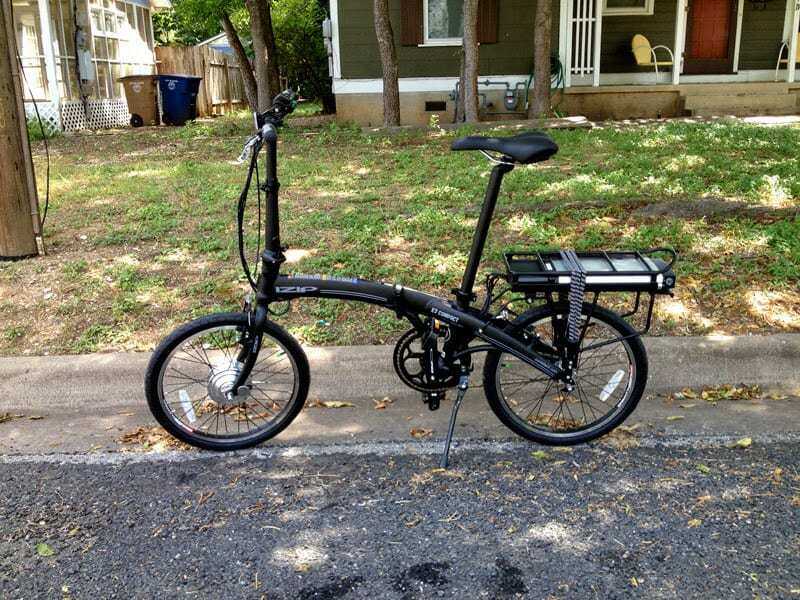 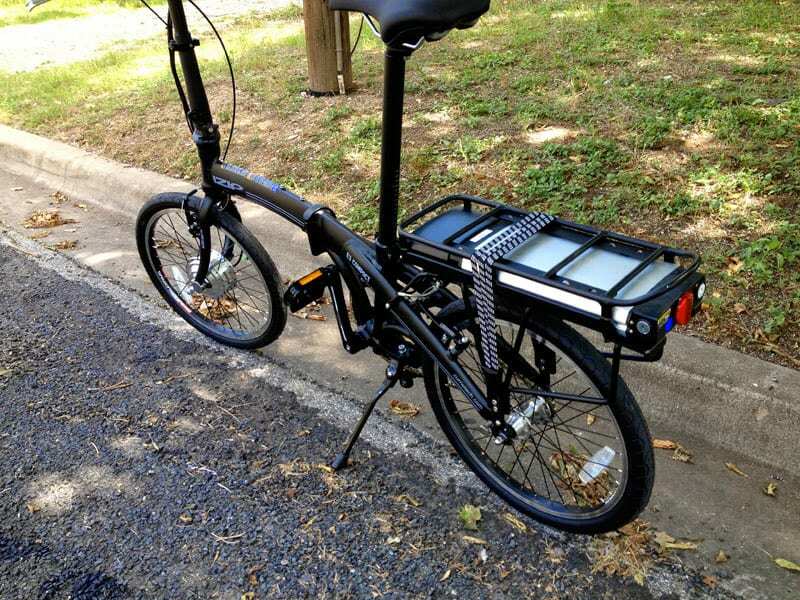 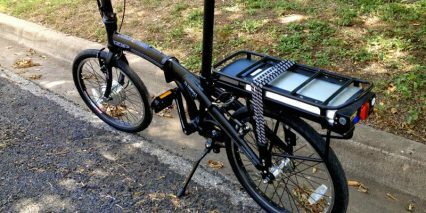 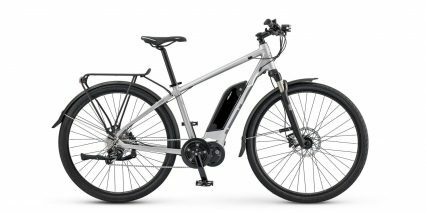 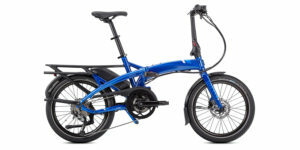 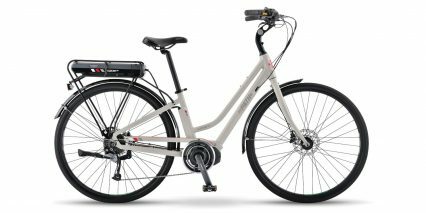 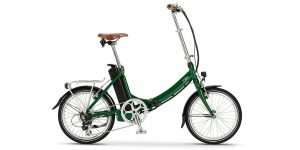 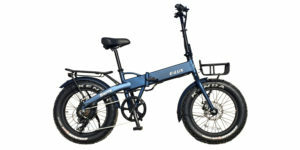 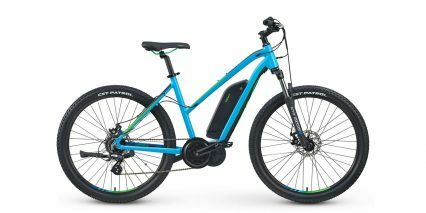 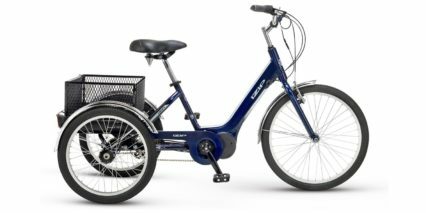 For the IZIP E3 Compact electric bike they chose to team with Dahon for the frame and added on their stock motor, battery pack and throttle system. 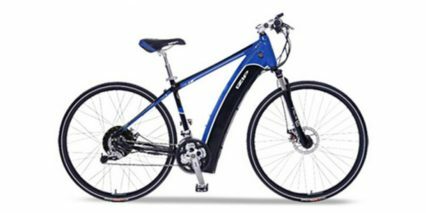 This partnership works very well and the end result is a high quality bike that rides well, is easy to have serviced or get replacement parts for and offers a solid warranty. 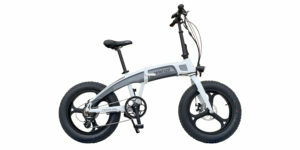 Dahon folding bikes really set the standard for quality and have been an innovator in the space since 1982. 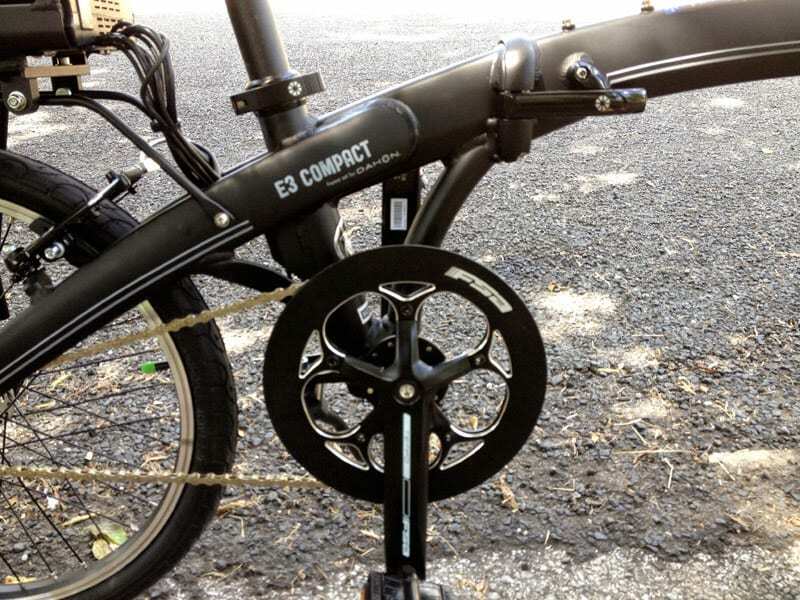 The frame used with the E3 Compact is a relatively simple single speed design but that’s not a bad thing. 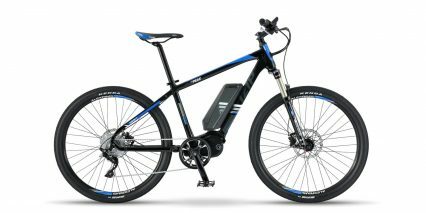 Fewer gears means less maintenance and allows the chain to be kept tighter meaning it won’t bounce off when riding in electric throttle mode. 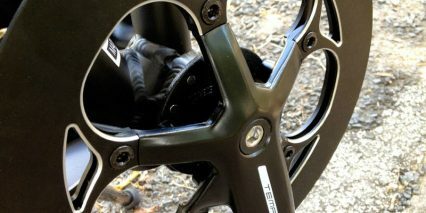 The frame has a joint in the middle with a strong adjustable latch to keep it in place when riding. 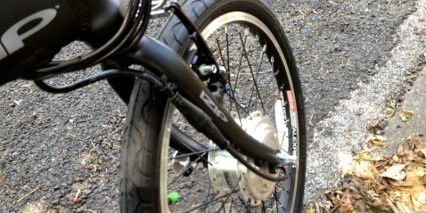 The handlebar neck also folds down and the seatpost slides all the way through. 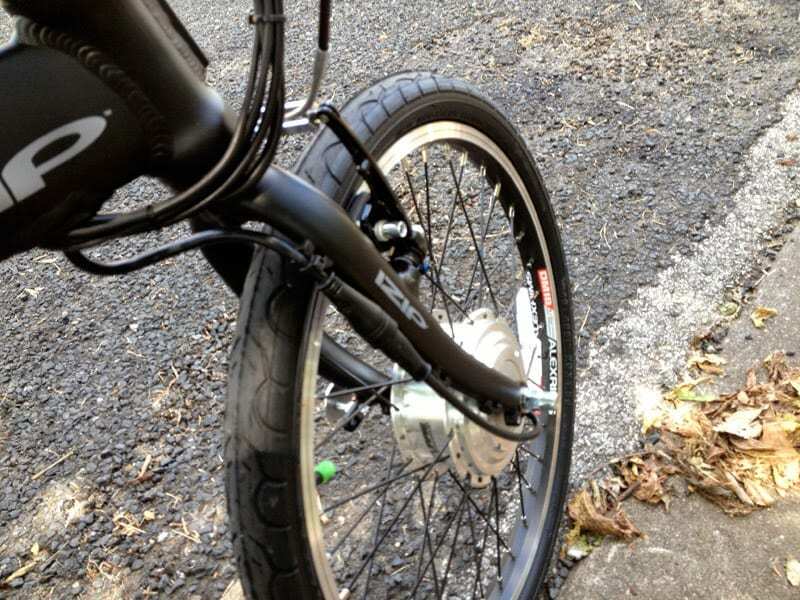 Pedals also fold making for a relatively small rectangular footprint when completely broken down. 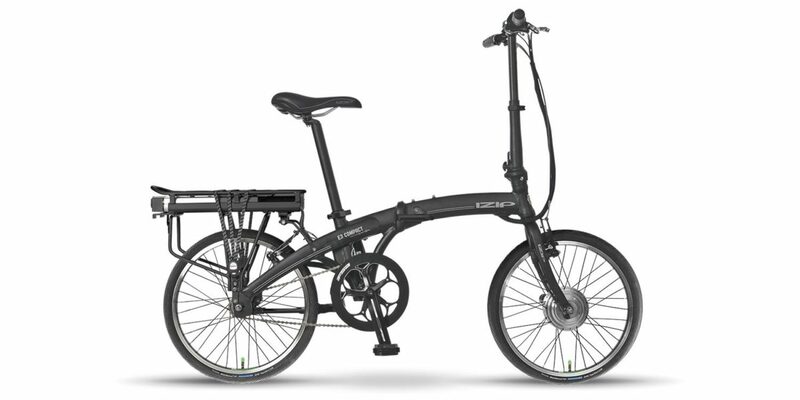 I’m a big fan of the inclusion of magnets that keep the Dahon bike in its folded position and both are durable but don’t get in the way when riding. 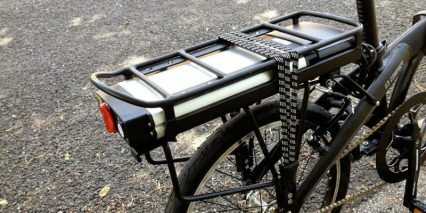 One thing I’m less excited about is the rear bolt-on style rack that Currie has used for securing the battery. 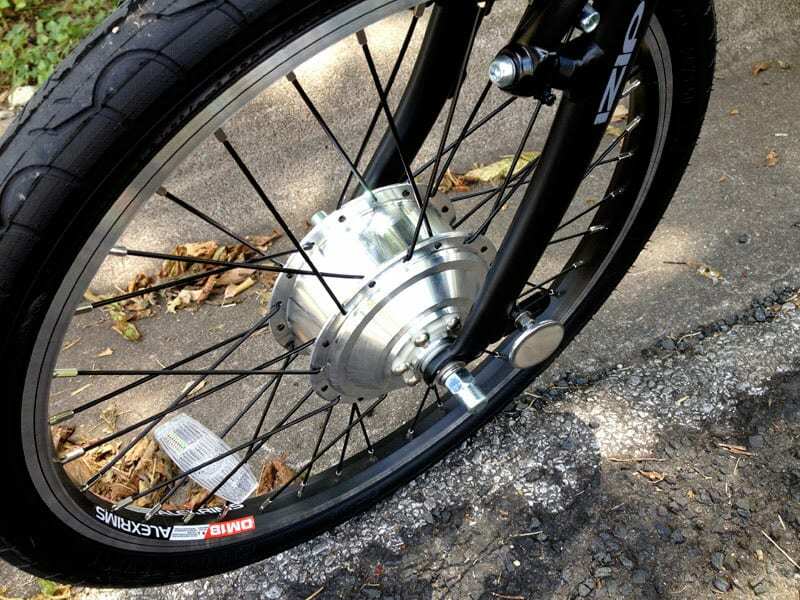 It works well enough but can start to rattle and come loose over time, especially with so much weight on it. 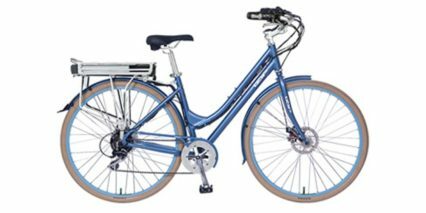 Keep your eye on that rack but note that it does work very well with rear saddle bags and panniers since it uses standard gauge tubing. 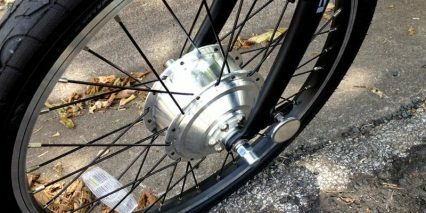 A 250 watt geared hub motor is used to drive the E3 Compact and it works pretty well. 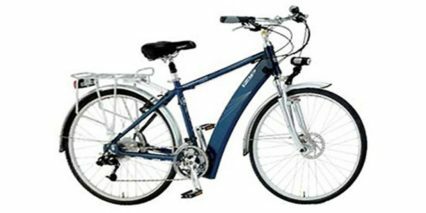 Placing it at the front of the bike instead of the rear helps to balance out the overall weight of the bike. 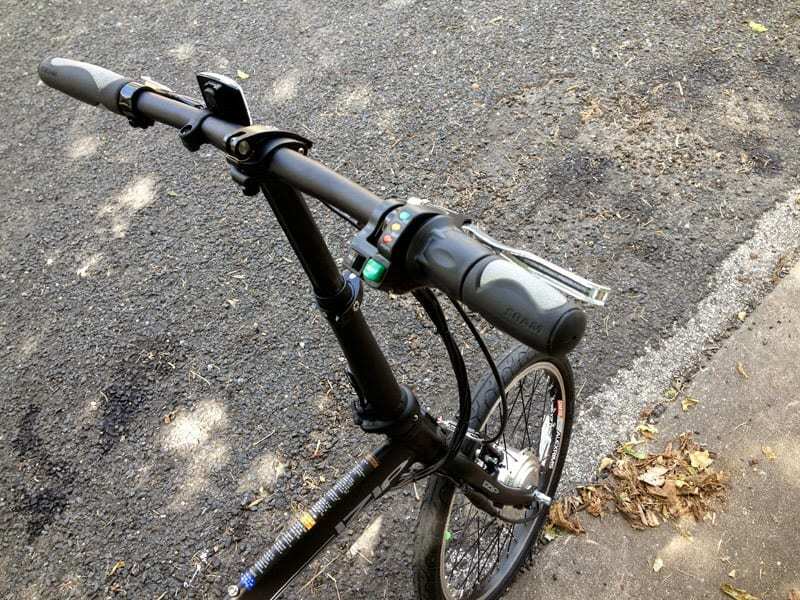 I like that they used a pedelec sensor here vs. torque sensors because it means you don’t have to push very hard to activate the motor in pedal assist mode. 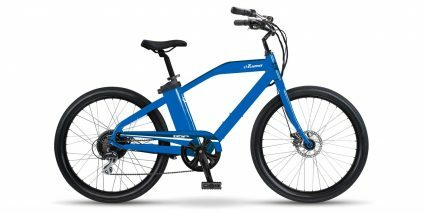 If you’re all dressed up with pants or a dress for work and not wanting to exert much force when pedaling, this is the way to go. 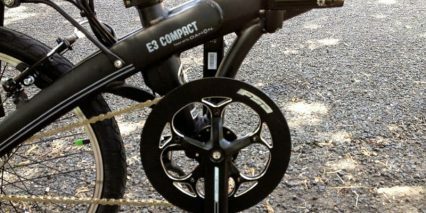 The 36 volt Lithium-ion battery pack used for the E3 Compact offers 8.8 amp hours of capacity and when paired with the smaller efficient motor, it will take you pretty far. 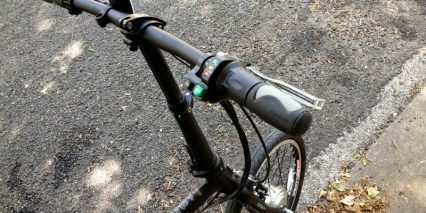 This is especially true if you use the pedal assist mode and help the bike along. 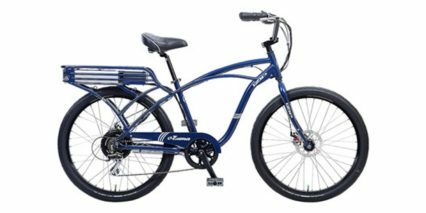 If you’re a heavier rider and expecting this bike to pull you up hills without pedaling at least a little bit then you may be disappointed. 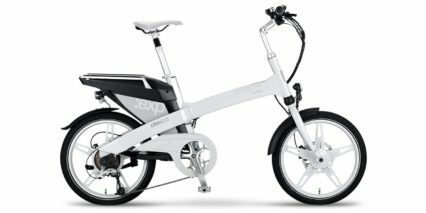 For most around town applications to and from public transport etc. 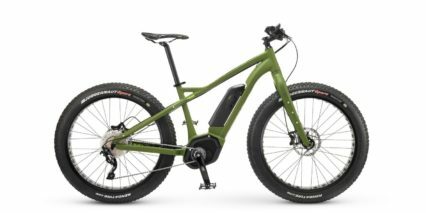 this bike works well. 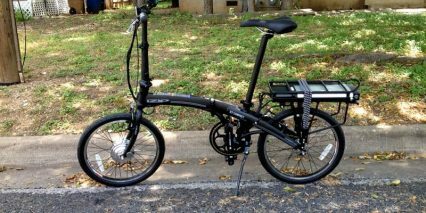 All in all I’m very impressed with the Currie + Dahon partnership on this bike. 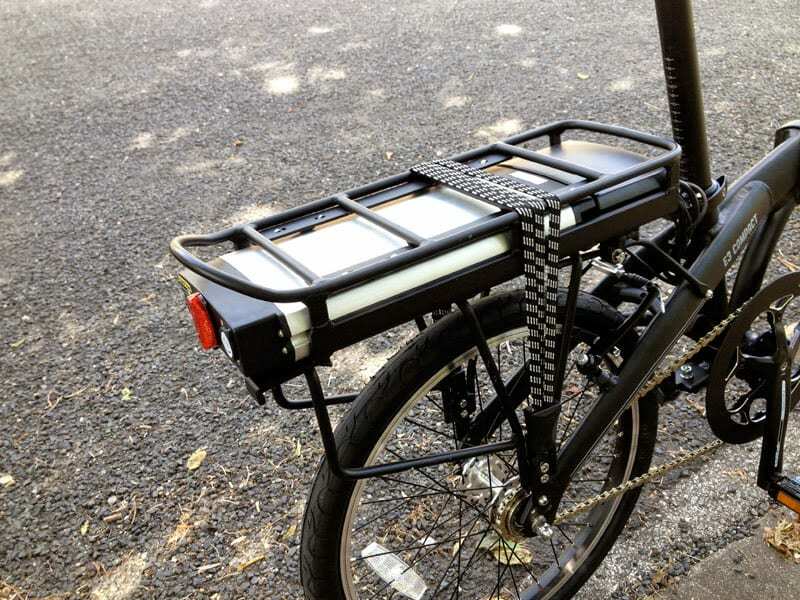 It looks wonderful and functions very well with all of the electric cables neatly tucked away. 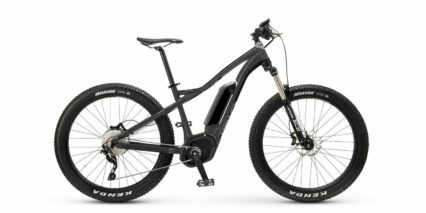 The only other drawbacks would be the lack of suspension or a shock absorber on the seatpost. 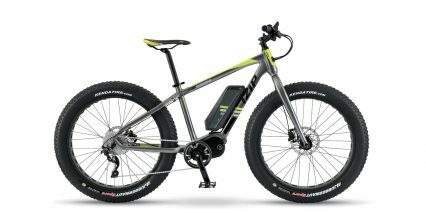 This bike has thinner tires than most other IZIP bikes and while they are pre-Slimed to help deal with flats, they don’t offer the same cushion going over bumps. 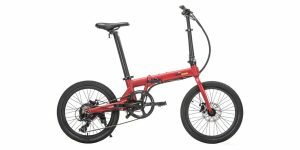 As far as folding bikes go, this one has everything you could ask for and has two reputable companies backing it up. 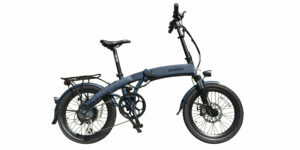 I like the Prodeco Mariner 7 folding 20 inch wheel bike better. 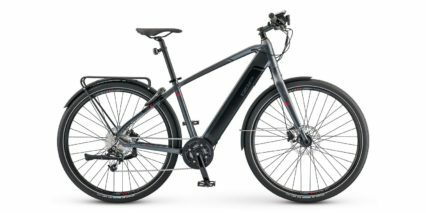 It has 8 speeds. 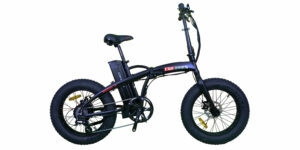 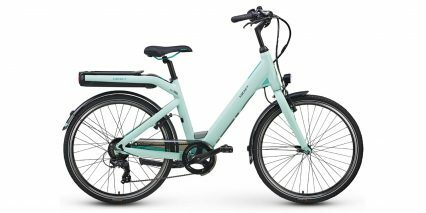 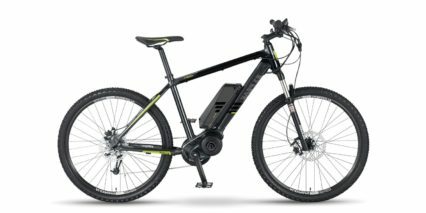 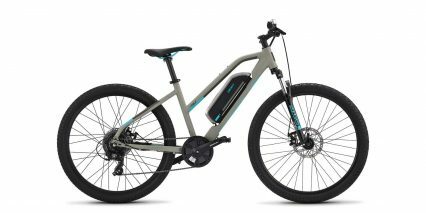 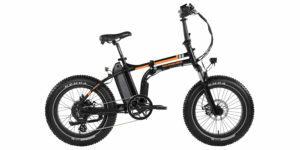 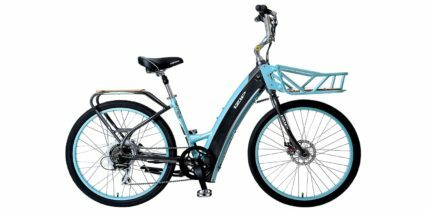 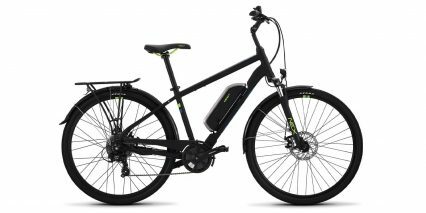 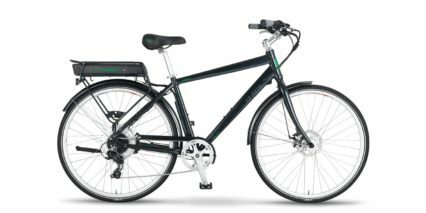 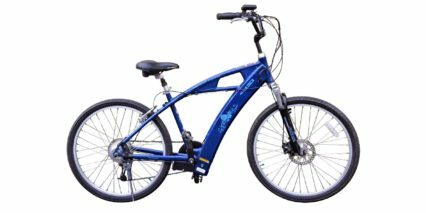 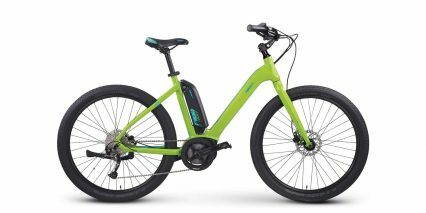 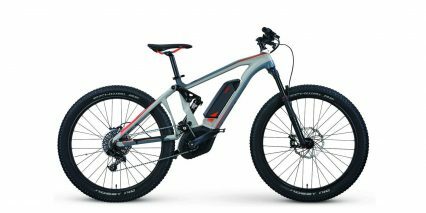 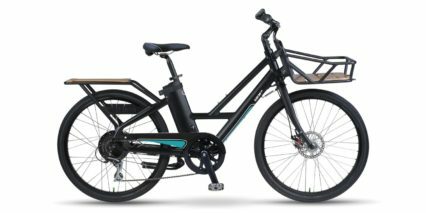 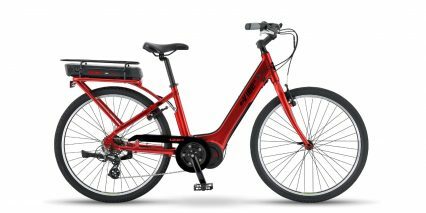 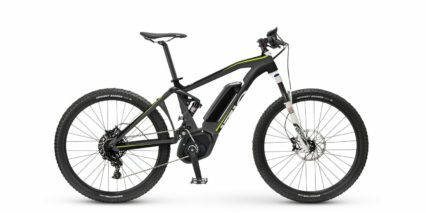 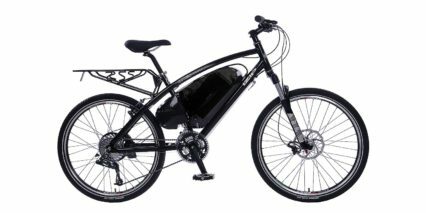 You can get one from Factory Direct Electric Bikes.